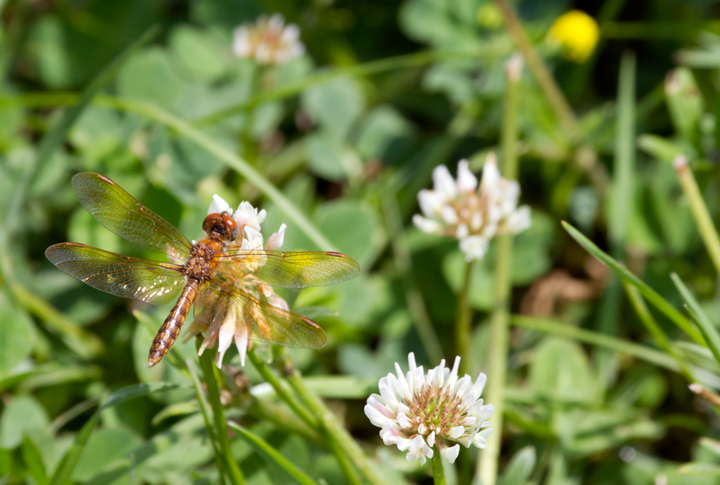 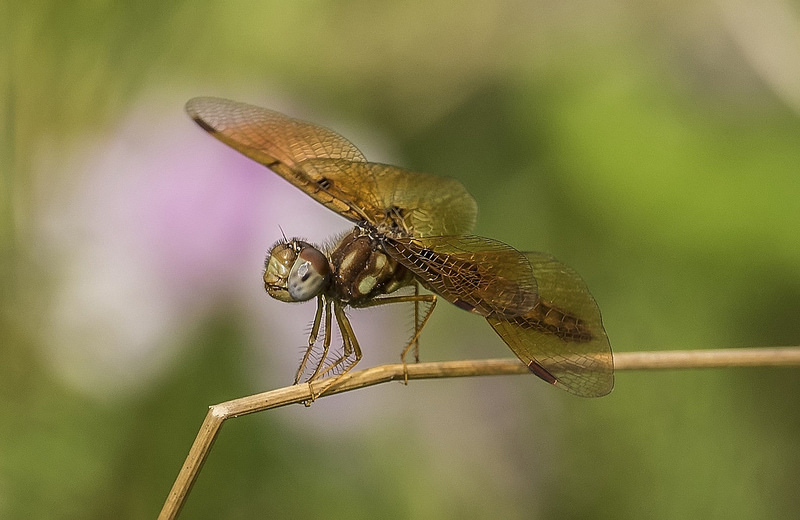 Eastern Amberwing (Perithemis tenera) is a diminutive skimmer species, distinctive in our region due to its very small size and yellowish to orangish wings. 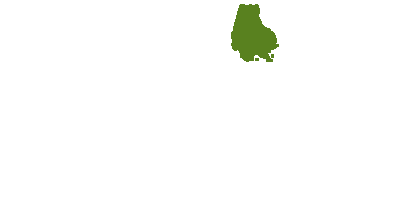 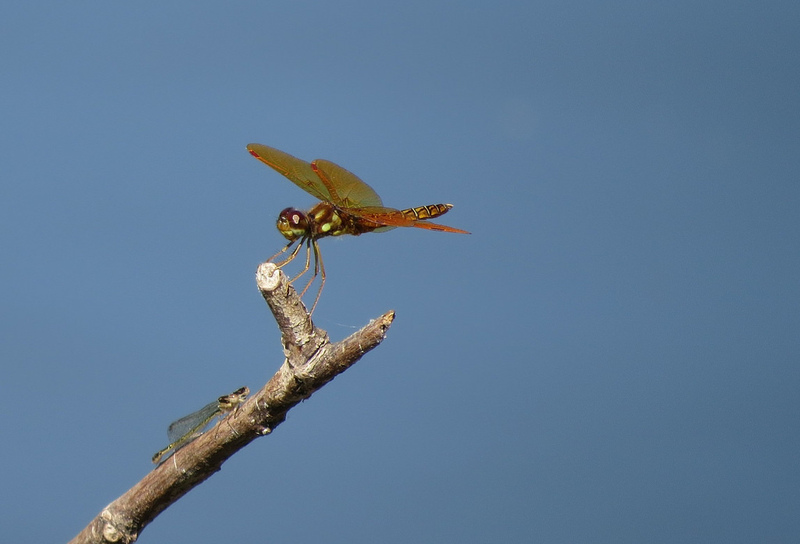 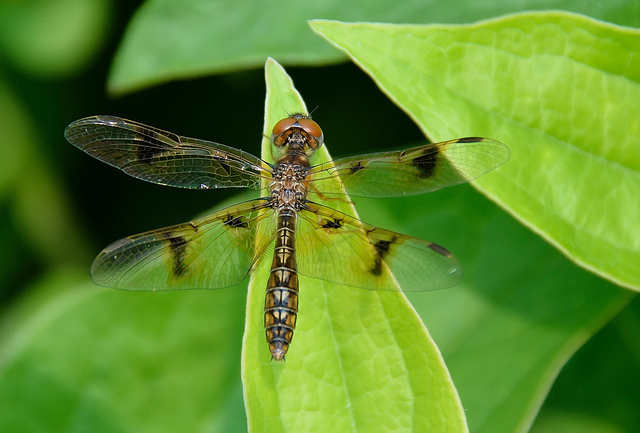 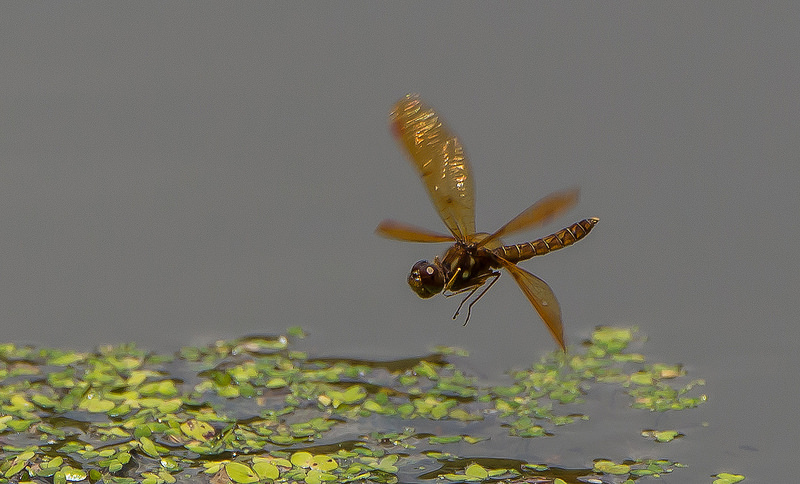 This dragonfly is common at a variety of ponds or lakes, and slower sections of creeks or rivers (Paulson, 2011). 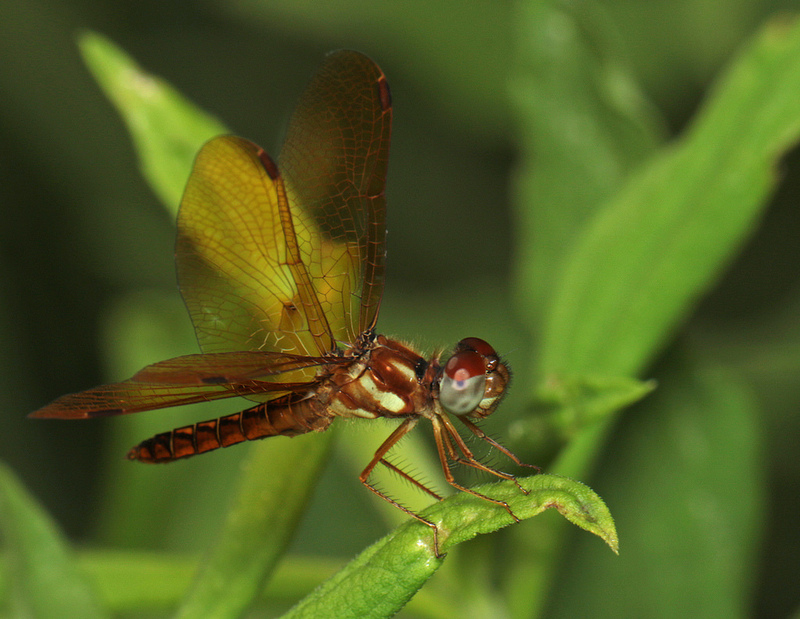 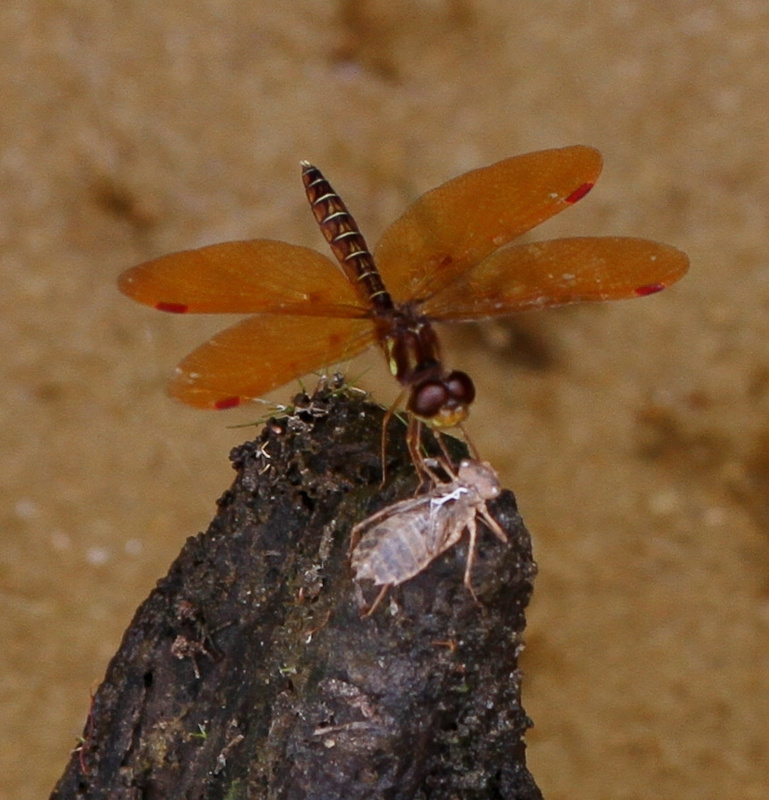 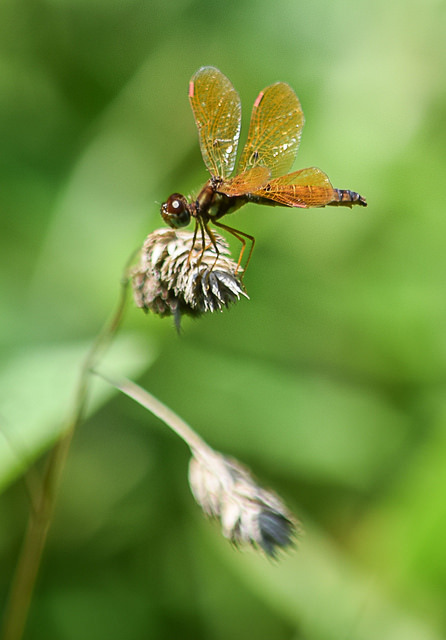 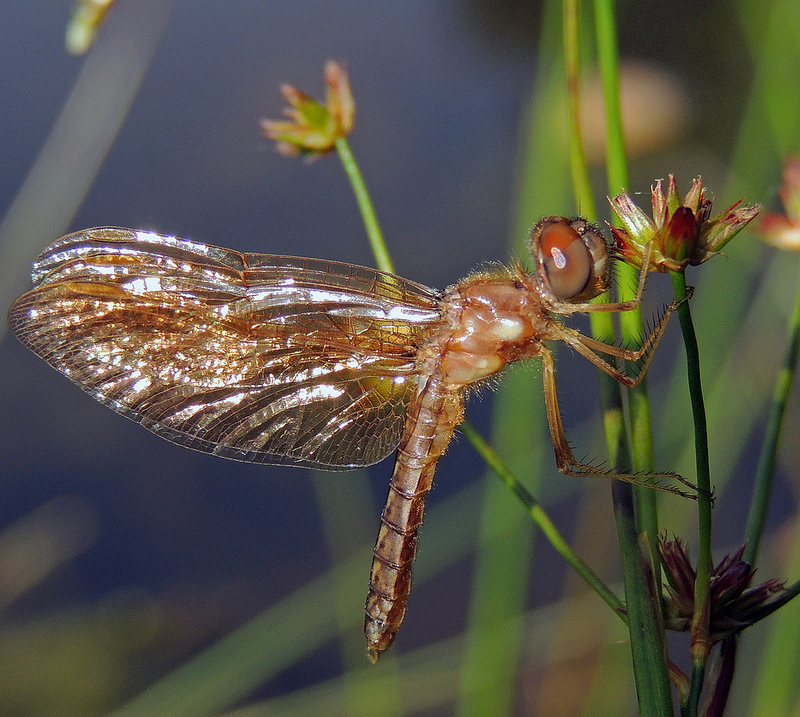 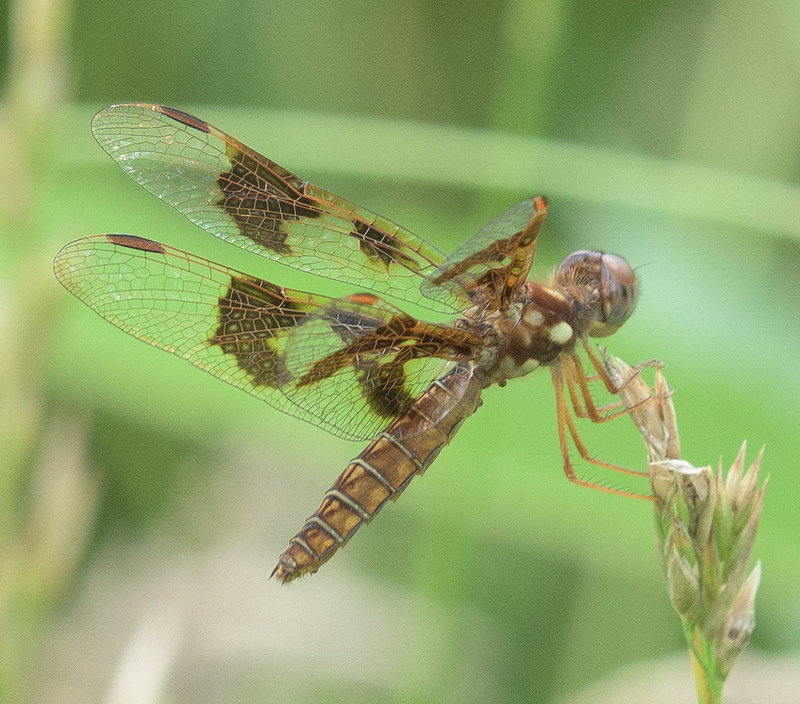 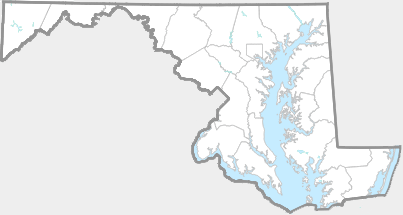 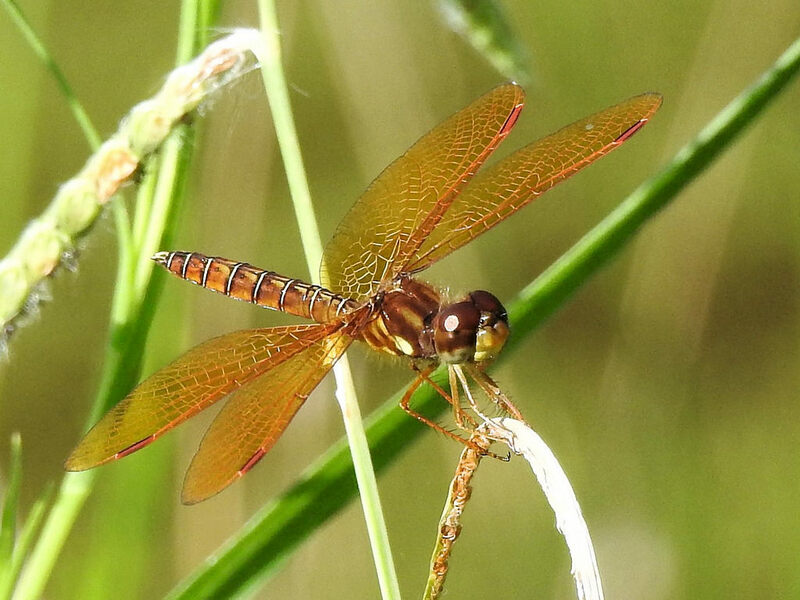 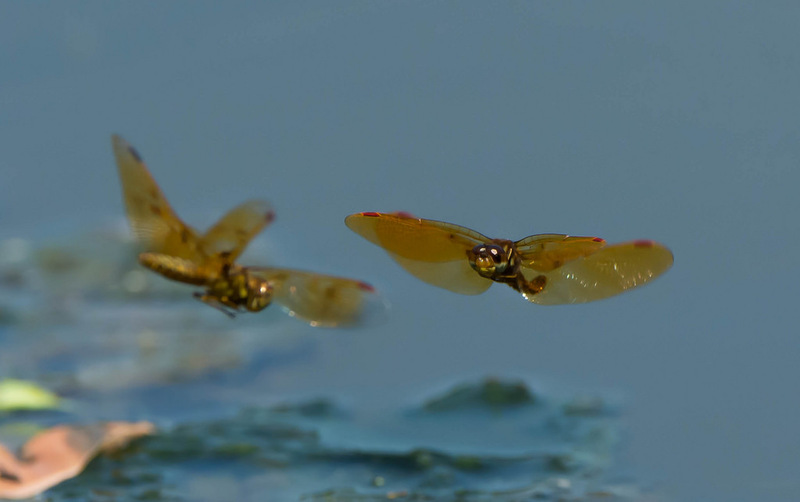 Common in the state, Eastern Amberwing occurs in every county in Maryland (Richard Orr's The Dragonflies and Damselflies of Maryland and the District of Columbia). 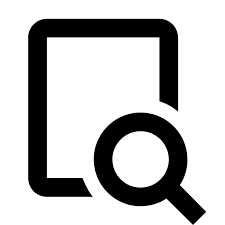 There are 1,089 records in the project database.